One of my favorite pieces, I picked up this vase sometime in the late 1970’s. 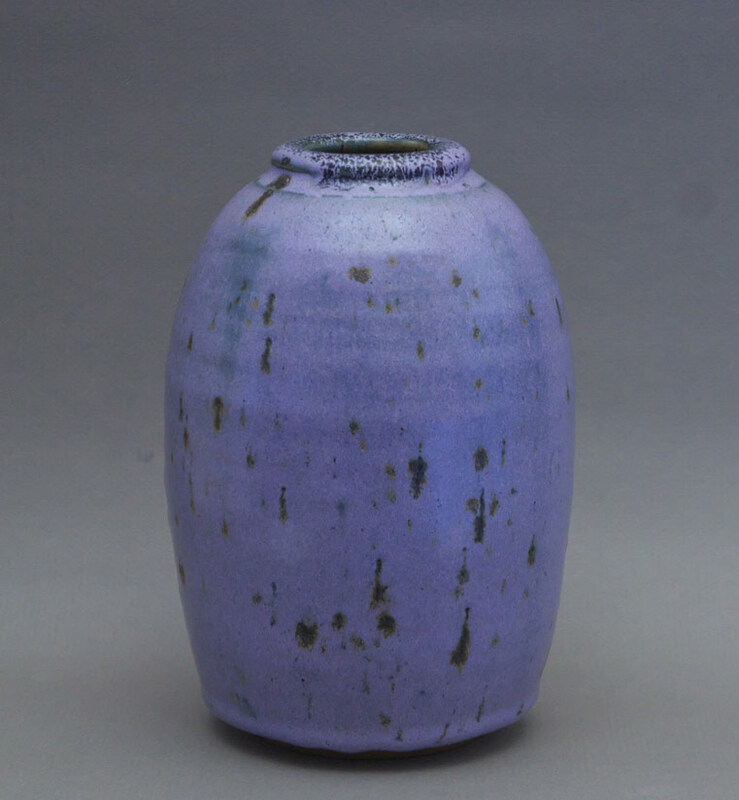 I find the spotted lilac glaze spectacular both in colour and application, with the heavy flow stopping at exactly the right place above the foot. Funnily enough though, when I spoke to Bob about this vase, he told me the glaze colour was “accidental” – he was attempting another effect entirely! Originally, (but now worn away) the vase had a 1-1/4″ yellow paper sticker on the base with a partially read large and ornate “BC” with a “pott.. 1972” dialog under the BC – I think this must have been from an exhibition at the time. The vase is incised with Bob Kingsmill‘s “K and two dots” logo.